As part of our commitment to our clients, we have built Diversified Industrial Coating LLC, a sister company of Diversified Welding LLC, with powder coating and sandblasting services to fit a variety of your needs. Found at the same location, Diversified Industrial Coating will work with Diversified Welding to be your one-stop shop. Found at the same location, Diversified Industrial Coatings will work with Diversified Welding to be your one-stop shop. The enclosed paint booth allows for a cleaner paint job, advanced airflow and containment control. The batch process oven circulates heat on both sides to quickly and evenly cure the powder coating. Our blast booth, complete with Media Reclaim Center, allows for advance airflow management and containment control. Powder coating is a type of coating that is applied as a free-flowing, dry powder. The primary difference between a standard liquid paint and a powder coating is that the powder coating does not require a solvent to keep the binder and filler parts in a liquid suspension form. The coating is applied electrostatically and is then cured under heat to allow it to flow and form a "skin". The powder may be a thermoplastic or a thermoset polymer. It is used to create a hard finish that is tougher than conventional paint. Abrasive blasting, more commonly known as sandblasting, is the operation of forcibly propelling a stream of abrasive material against a surface under high pressure to smooth a rough surface, roughen a smooth surface, shape a surface or remove surface contaminants. A pressurized fluid, typically compressed air, or a centrifugal wheel is used to propel the blasting material (often called the media) to which there are variations from metal shot, sand or glass beading. 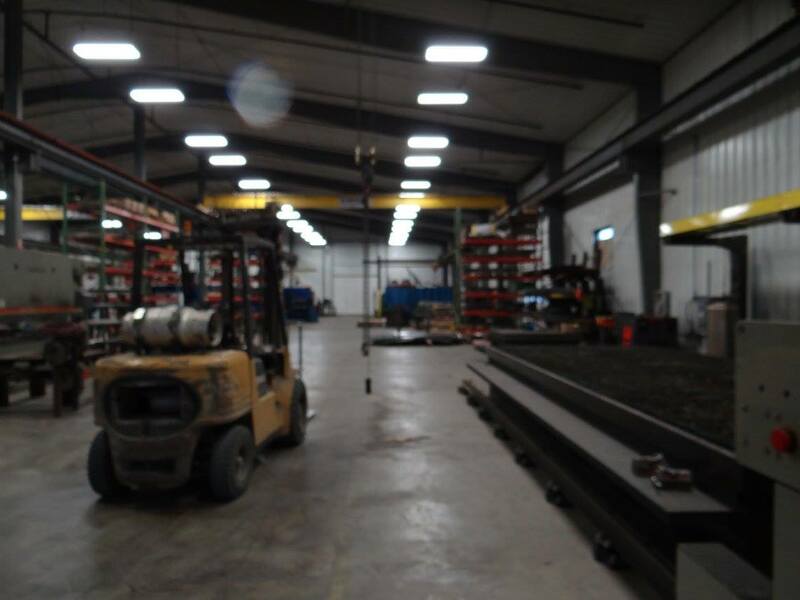 We can sandblast and powder coat parts up to 30 feet long and 12 feet wide. Diversified Industrial Coatings can handle the finishes on any of your projects: automotive and motorcycle parts, decorative railings and fencing, patio furniture, and metal home decor.